Global connections through project based learning inspire students to dive into the material and share what they've learned! "With PenPal Schools, my students practice vital reading skills such as finding the main idea of a text and elaborating on his or her thoughts on the topic with evidence." PenPal Schools learning objectives are aligned to a variety of academic standards, including Common Core State Standards, Texas Essential Knowledge and Skills, International Baccalaureate Organization Standards (IB), and the College, Careers, and Civic Life (C3) Framework. Read on to see how you can use PenPal Schools learning objectives to assess and improve students' abilities relative to the standards that interest you. CCSS Anchor Standard: CCSS.ELA-LITERACY.CCRA.R.1: Read closely to determine what the text says explicitly and to make logical inferences from it; cite specific textual evidence when writing or speaking to support conclusions drawn from the text. ​Students use the text to support their own responses and reflect on different perspectives and interpretations. CCSS Anchor Standard: CCSS.ELA-LITERACY.CCRA.R.2: Determine central ideas or themes of a text and analyze their development; summarize the key supporting details and ideas. ​Students understand and organize their ideas and opinions using a range of appropriate conventions for different forms and purposes of communication. Students recognize the importance of maintaining academic honesty, respecting intellectual property rights and referencing all sources accurately. Anchor Standard: Communicating and Critiquing Solutions: D4.3.3-5. Present a summary of arguments and explanations to others outside the classroom using print and oral technologies (e.g., posters, essays, letters, debates, speeches, and reports) and digital technologies (e.g.,Internet, social media, and digital documentary). CCSS Anchor Standard: CCSS.ELA-LITERACY.CCRA.R.4: Interpret words and phrases as they are used in a text, including determining technical, connotative, and figurative meanings, and analyze how specific word choices shape meaning or tone. 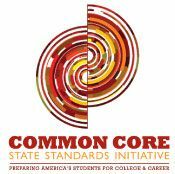 CCSS Grade Level Standards: Recall relevant information from experiences or gather relevant information from print and digital sources; summarize or paraphrase information in notes and finished work, and provide a list of sources. CCSS Grade Level Standards: Distinguish among fact, opinion, and reasoned judgment in a text. Anchor Standard: Gathering and Evaluating Sources: D3.2.3-5. Use distinctions among fact and opinion to determine the credibility of multiple sources. CCSS Grade Level Standards: Compare and contrast one author's presentation of events with that of another (e.g., a memoir written by and a biography on the same person).